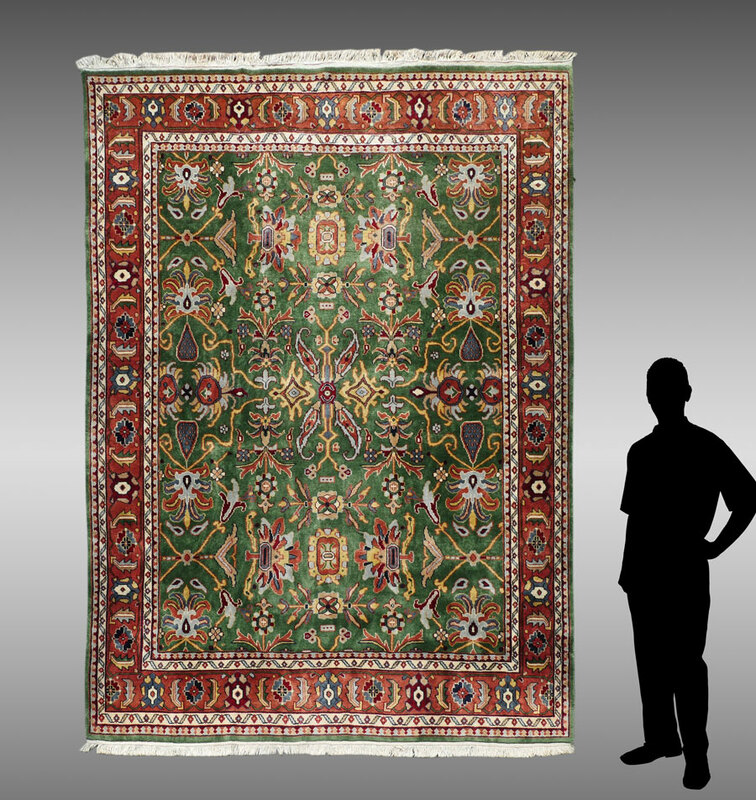 APPROX 15-35 YR OLD PERSIAN HAND KNOTTED WOOL RUG, 7'8'' X 9'5'': The velvety deep green field of this rug has large scale design motifs of very stylized flowers, trees, and undefinable objects in vibrant colors. 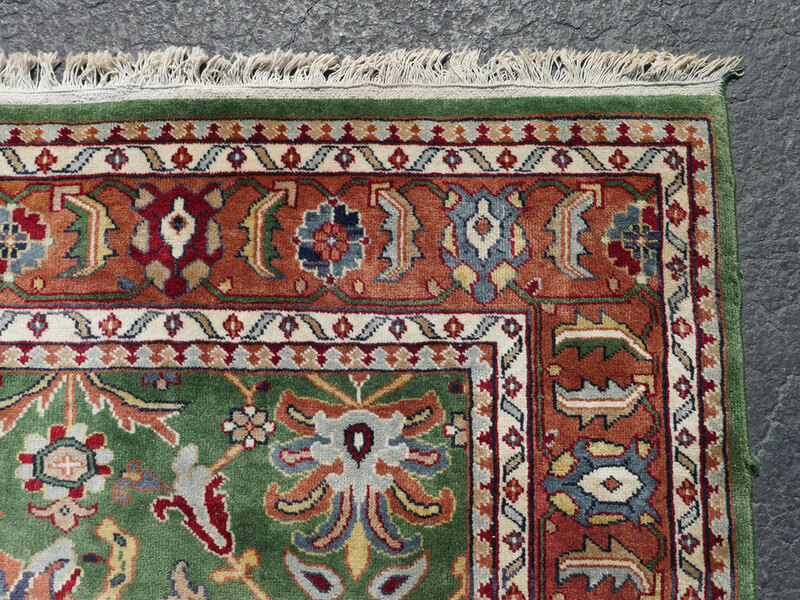 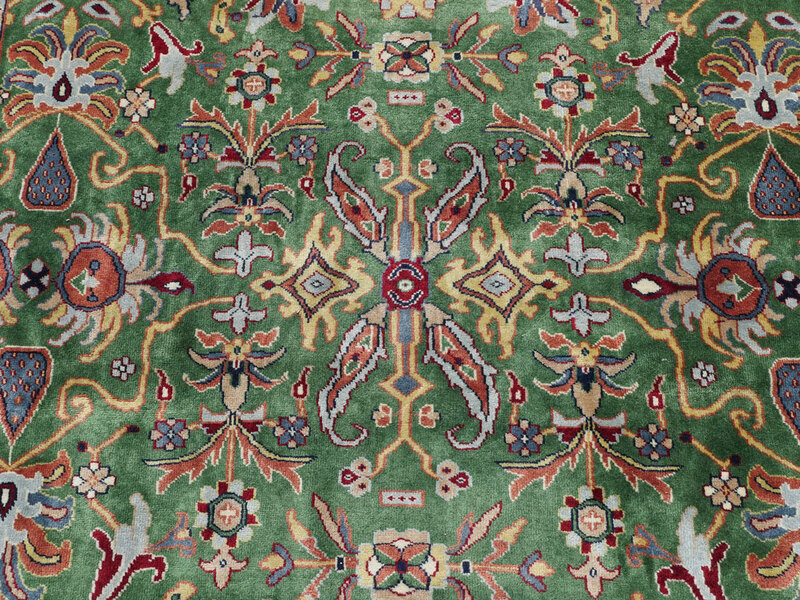 Rust, yellow, blue, red and white are the colors that are also used in the borders of the rug. 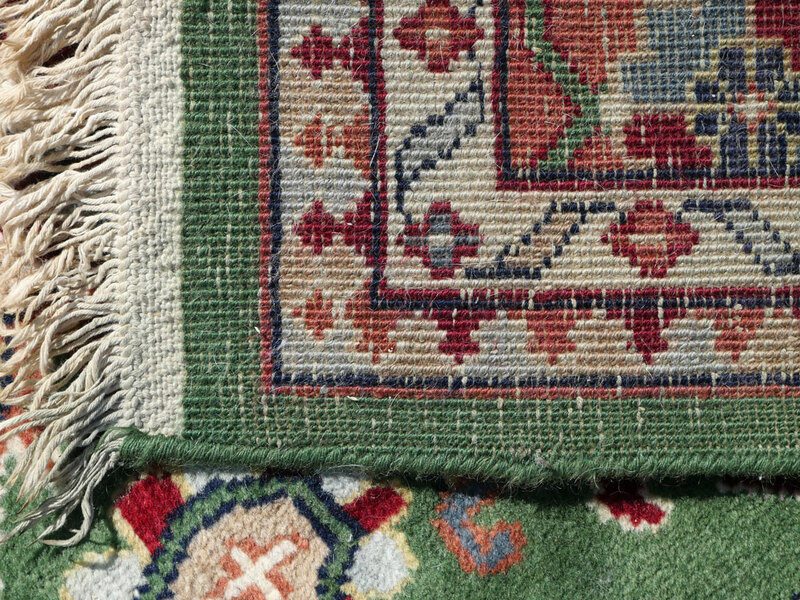 The rust ground of the main border nicely frames the green field.